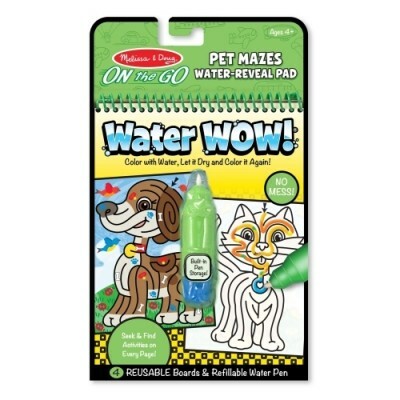 4 animal maze-themed colouring boards and refillable water pen. Reusable pages are white with simple connect-the-dots line drawings when dry; reveal colours when wet. 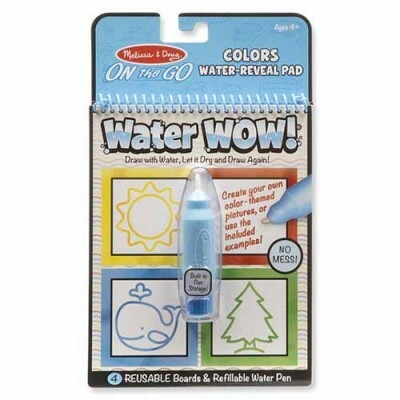 Chunky-size water pen is easy to fill, easy to hold. Compact, spiral-bound format is great for travel. 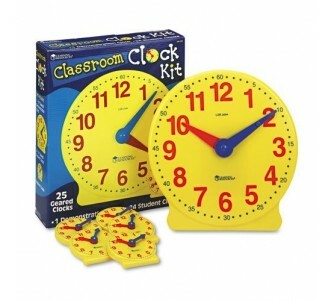 Promotes fine motor skills, memory building, and visual discrimination. Animal-themed pictures to paint. Includes 3 stretched canvases, 8 tubes of paint, 3 paintbrushes, mixing tray, and display easel. Frames are ready to hang or can be displayed. Complete individually or as a group project. Promotes fine motor skills and creative expression. 4 underwater-themed colouring boards and refillable water pen. Reusable pages are white with simple line drawings when dry; reveal colours when wet. Chunky-size water pen is easy to fill, easy to hold, stores in compact, spiral-bound book--great for travel. 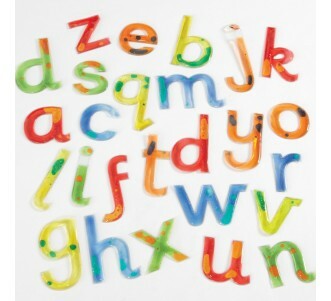 Promotes fine motor skills, early writing/reading skills, and visual discrimination. 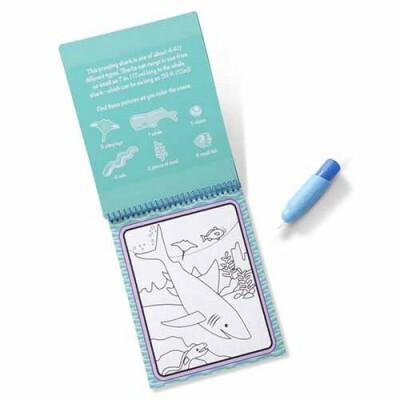 Water reveal activity book with water pen. Features different colours, shapes, and seek-and-find activities on each page. Water reveals pictures; dry to erase and reuse. Pen stores in cover for on-the-go fun and no-mess cleanup. 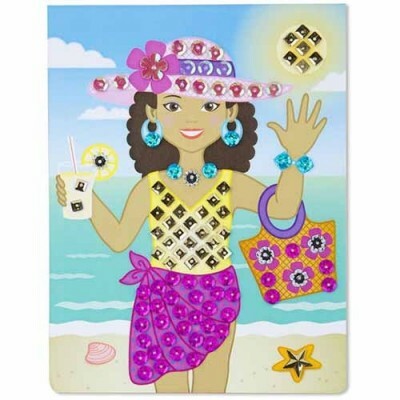 Craft kit comes with everything needed to create 4 shimmering sequin art fashion scenes. 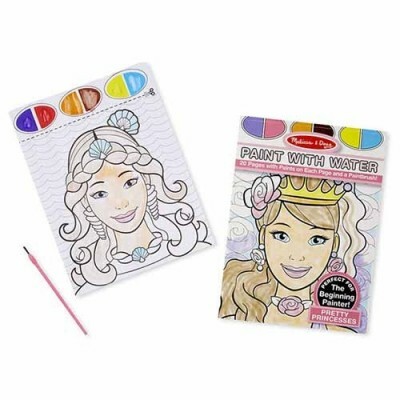 Includes 4 peel-and-decorate pages, 500 multi-coloured sequins, 8 gems, 9 shaped sequins, and pick-up tool. Press the sequins and gems on the outlined dots to make the pictures sparkle. Promotes fine motor skills, creativity, and concentration. 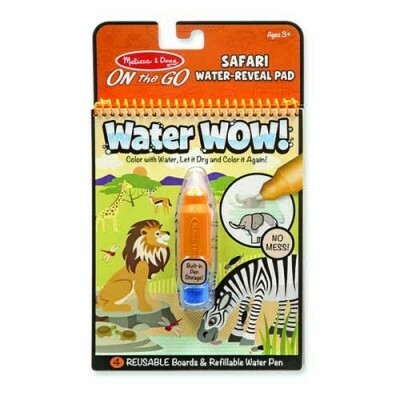 4 safari-themed colouring boards and refillable water pen. Reusable pages are white with simple line drawings when dry; reveal colours when wet. Chunky-size water pen is easy to fill, easy to hold, stores in compact, spiral-bound book--great for travel. Promotes fine motor skills, early writing/reading skills, and visual discrimination. 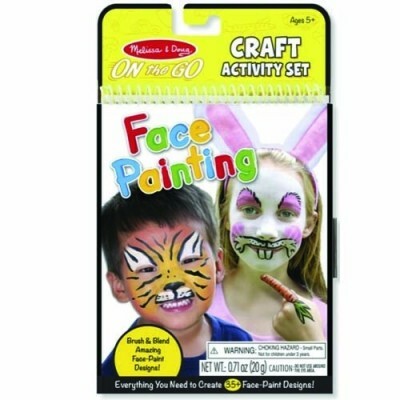 Kid-friendly face paint kit with step-by-step illustrations plus materials. Includes 6 colours of washable face paint, sponge, brush and full-colour design guide. Design guide gives examples and ideas for animals, fairies, pirates, clowns, and other disguises and decorations. Easy to learn, easy to store, and easy to create impressive results. Helps teach hand-eye coordination and encourages creative expression. Simply wet the paintbrush, moisten the paint palette, and fill in the pictures! An ideal introduction to painting. 20 pages, each with its own paint palette. Perforated pages tear out cleanly for painting and display. Encourages colour recognition, fine motor skills, hand-eye coordination, and creative expression. 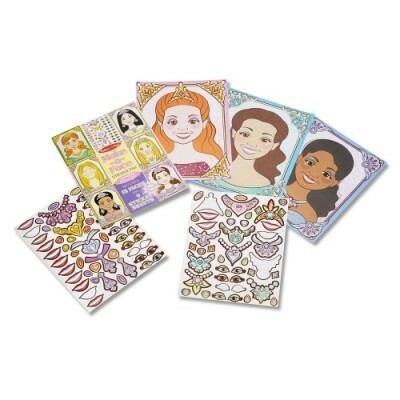 Extra-large sticker-activity pad with blank faces to fill with features and sparkling jewelry. Includes 15 faces and 180 stickers. Full-colour throughout. Excellent quality and value. Promotes fine motor skills and creative expression. Generously sized colouring pad. 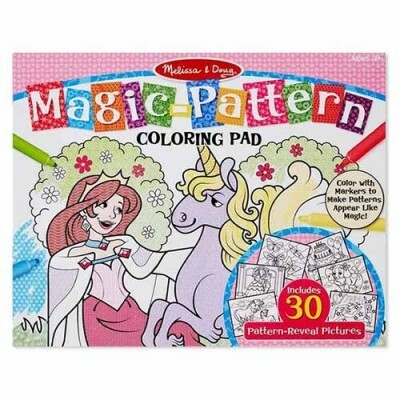 Use markers (not included) to make patterns appear like magic! 30 unique designs. Includes pictures of princesses, ballerinas, mermaids, girls playing soccer, and more. 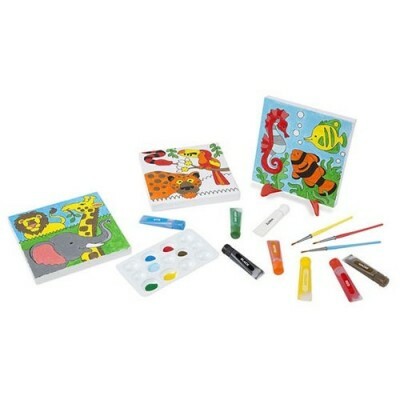 Helps promote fine motor skills, hand-eye coordination, and creative expression.